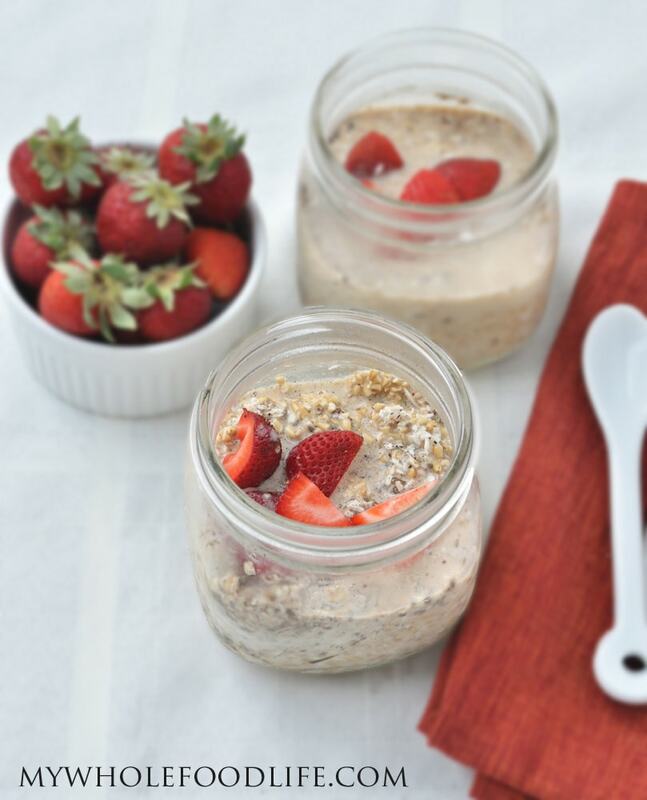 Coconut Strawberry Overnight Oats. As you know, I just love my oats. And my favorite way to eat them is in the form of overnight oats. Overnight oats, or Oats in a Jar, are so easy and you don’t even need to cook them! This coconut strawberry overnight oats is my newest creation. You can make these with either rolled oats or steel cut oats. I like steel cut oats myself. They will retain a slight crunch that I like. You can make up 5 of these at a time for healthy breakfasts all week. And since they are already in a jar, they travel great! Definitely give them a try. Easiest breakfast ever! No cooking required! Put everything in a jar and mix very well. I make 5 of these jars at a time for easy breakfasts all week. They are great to take to work as well. The strawberries should be fine in the jar for a night or two, but if you plan to make more than two at a time, add the strawberries in right before you eat it. Enjoy! I've made this twice - once with rolled oats, the other with the steel-cut, which was my first time having steel-cut oats. I loved it both ways. I didn't find the rolled oats to be soggy at all. The big difference I found was the steel-cut oats kept me full after breakfast for much longer than the rolled oats. Thank you for providing me with my new favourite breakfast! I love it! Thanks Vicky! So glad you liked it! I prefer steel cuts oats because of the texture. It reminds me of cereal. does it have to be almond milk i have rice milk? What size jars are those you used? Pint or half pint?